Given a run of poor weather over recent wheat harvests, wheat variety marketing company Pacific Seeds is reminding growers to make sure they get their retained planting seed tested for germination and vigour prior to planting. Pacific Seeds wheat manager, Neil Comben said that seed grown in a tough season, has experienced rain events over harvest, or which has experienced extreme heat or humidity in storage can often give sub-optimal results when planted. “Seed is a living organism, so if it experiences extremes during either its growing or storage phases, it is inevitably going to be affected. “Recent winters have been tough and shown us that growers really need to make the most of the rain when it comes to get their crop established. The last thing we want them to experience is a poor establishment due to poor quality planting seed. Mr Comben said it might also be a good time for growers to look at refreshing their wheat seed in the lead up to the 2019 winter crop. The more years of continuously retaining seed, the greater the risk of contamination through the introduction of seed from other varieties. “We recommend that wheat growers routinely refresh their wheat seed to maintain a variety’s genetic purity so the traits yield and agronomics they are chasing are there when they need it. Over the past two years, Pacific Seeds has released two new lines into the APH market – LRPB Reliant and LRPB Mustang. 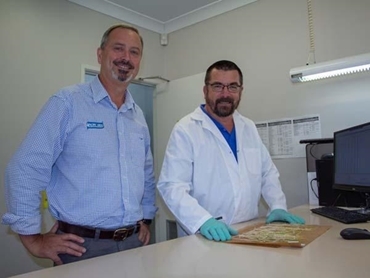 “LRPB Reliant is living up to its name as a reliable performer across environments and data shows it is the highest yielding APH wheat variety for the main season plant, whereas LRPB Mustang offers growers excellent yield in a quicker maturing package,” Mr Comben said.